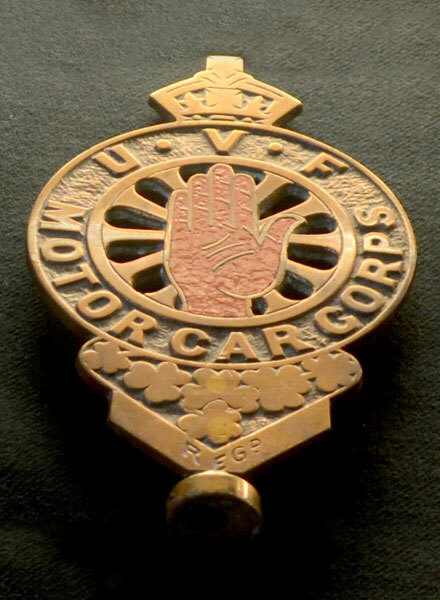 The Ulster Unionist Council set up a secret committee to oversee the buying of weapons from arms dealers and the formation of an Ulster force to resist the imposition of Home Rule. Traditionally Irish unionists put their faith in Parliament to protect their rights. 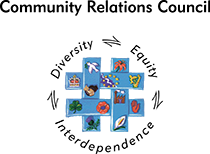 However, with Irish Nationalists holding the balance of power in the House of Commons, and the government vowing to remove the power of veto from the House of Lords, it seemed that all the barriers to a Home Rule bill becoming law had been removed. Therefore, Northern Unionist leaders believed they had to use unconstitutional methods to protect their status and security. 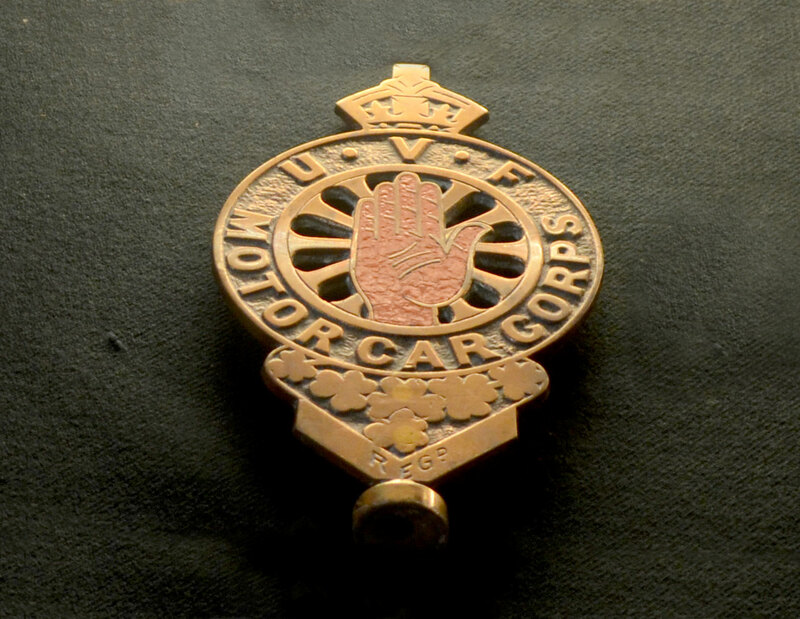 UVF Motor Car Corps hood ornament.